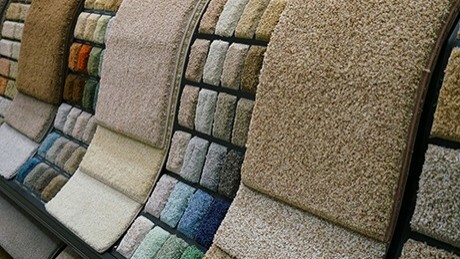 Are you tired of having to be careful around your carpets? Do you get nervous every time one of your children run around the house? Do you fear the damage that one small spill could cause on your flooring? If you are looking for a stress-free flooring situation, then hardwood may be the best option for you. More and more families are turning to hardwood floors for their durability, clean-up, and classic appearance. Even if you are concerned about the price, you may be surprised at how investing in hardwood floors could save you money in the long-term. Keep on reading to learn more about why hardwood floors are great for family homes. Although hardwood floors have always been a popular option for flooring, that popularity is only increasing as more people realize the benefits that come with this unique material. Hardwood floors are renowned for their beauty and versatility, meaning that they can blend with classic decor or complement a more modern aesthetic. However, their functionality doesn’t end with their appearance. Hardwood floors can actually handle more wear and tear than other similar flooring products, making it ideal for families. You don’t have to sacrifice the decorative elements of your home for fear of damage with hardwood floors. Similarly, they are easy to clean and maintain. With children, there are times when it feels like you are constantly having to clean and pick up after their messes, so why should your flooring be one more thing that you have to add to that list? It is a very sanitary option because it does not absorb as much dust and germs as carpet or other similar products. You no longer have to be fearful of stains. A majority of hardwood floors are actually sealed with a protective coating, preventing any spill from causing too much damage. They are incredibly low maintenance and really only require a simple regular cleaning. To keep hardwood floors looking their best, you just need to sweep and mop the surface regularly to keep it sanitary and shining. However, if you do get a scratch or some sort of damage on your hardwood floors, they can always be refinished. You do not immediately need to go and replace your flooring if there is a dent or crack, for a lot of hardwood floors can be refinished a handful of times before needing to be replaced. Given that hardwood floors are versatile in their appearance and can be placed anywhere in your home, it is possible that areas that receive more foot traffic may be susceptible to scratching. 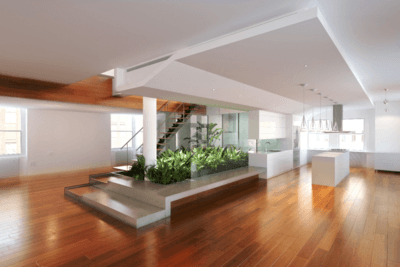 The sustainability component of hardwood flooring is another draw to this material. Given that they don’t need to be replaced as often and that wood is an abundant material, you are making a conscious environmental decision when purchasing this product. 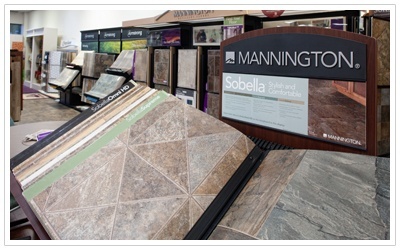 Don’t let your flooring be another hassle that you have to deal with on top of other family obligations. Hardwood floors are easy to clean, maintain, are more sanitary, and will fit beautifully within your home. For more information about how hardwood floors would work in your family home, come see us at Richmond Decorating. We have locations in Richmond, Glen Allen, and Newport News, Virginia and proudly serve the areas of Henrico, Manakin-Sabot, Midlothian, Mosley, and Chesterfield, VA.